Hallo! This is my naked eye sketch of Moon and Jupiter. Time and date: November 15th, 2010. Technique: Pastels on the dark blue paper. Love it, fine artistry. It is beautifully done. you’ve drawn a beautiful romantic sigth of the heaven. This site is one of the very first I visit when I start up the computer. On seeing your sketch, I only said one thing – WOW, how beautiful! 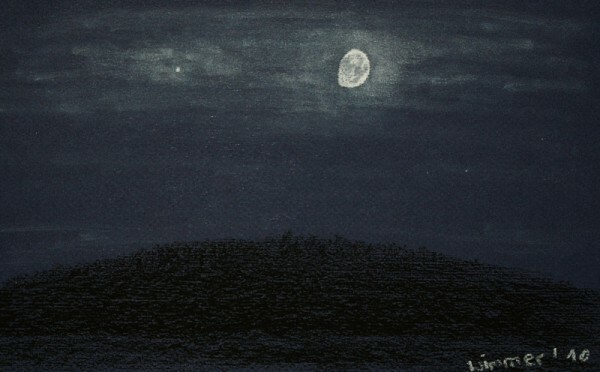 Beautiful drawing, really conveys the feeling of the night as we astronomers/artists perceive it. Congratulations! Thank You, @cincosauces, thank You all.